VIDEO DEMONSTRATION PROJECT. 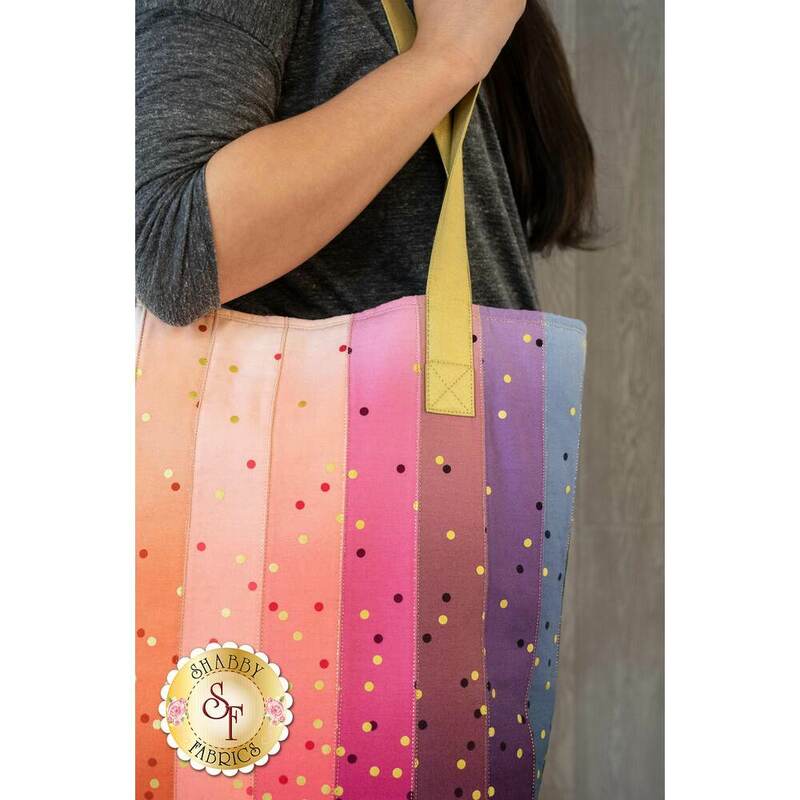 Follow along with Jen in our "How to Make a Large Jelly Roll Tote" video for additional guidance on making this beautiful, functional tote. 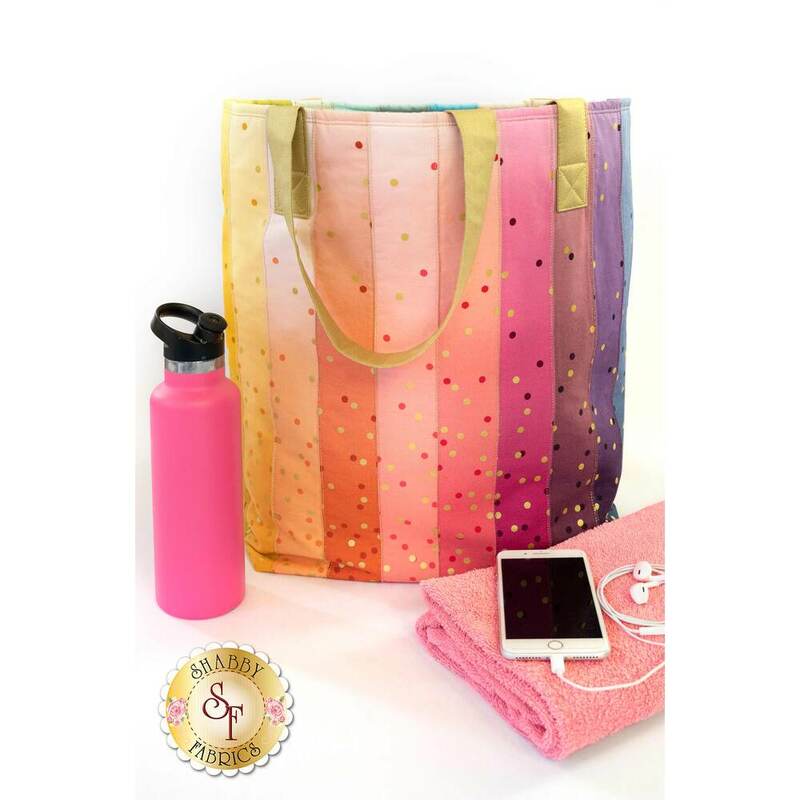 This Large Jelly Roll Tote is not only beautiful but functional for daily use! 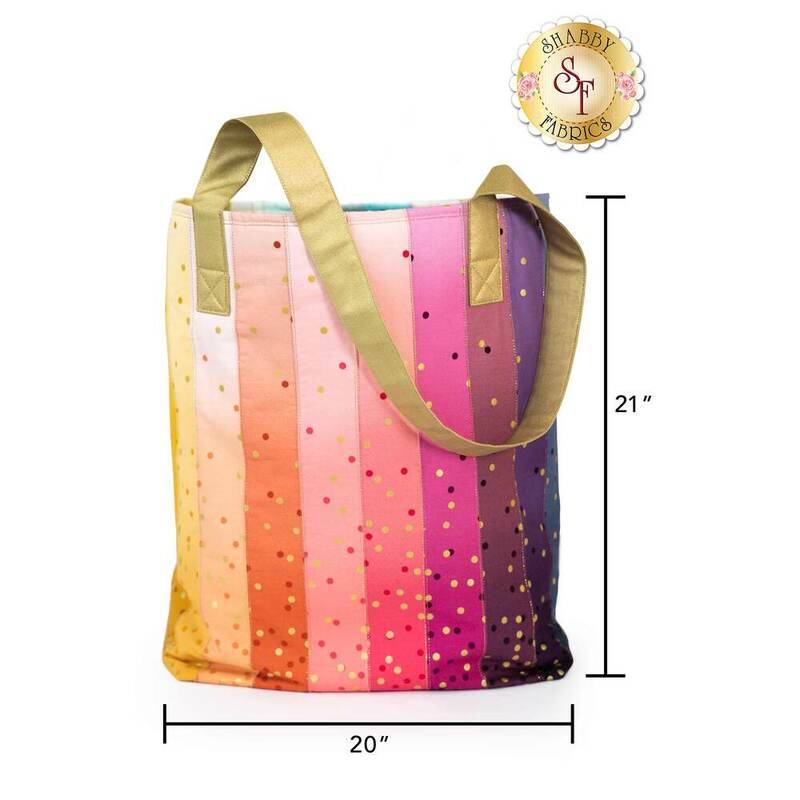 It’s versatile enough to be used for carrying quilting supplies, trips to the market, as a beach tote, or as a colorful accessory complimenting a favorite outfit. 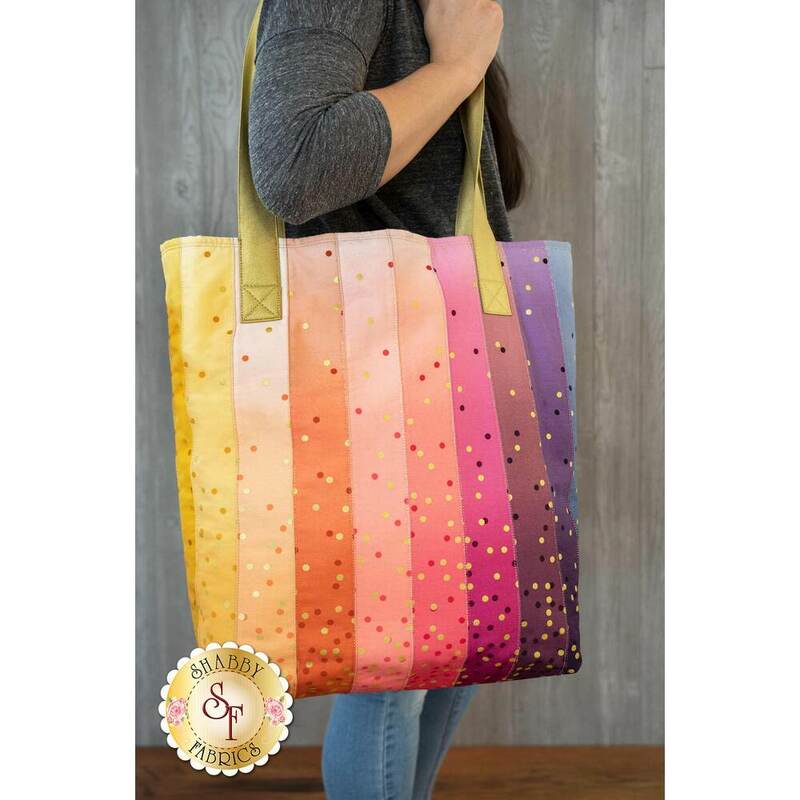 The Ombre Confetti Metallic fabric features a seamless transition from each vibrant color, to light, then back to the same rich color again, while the metallic dot pattern adds interest and sparkle. 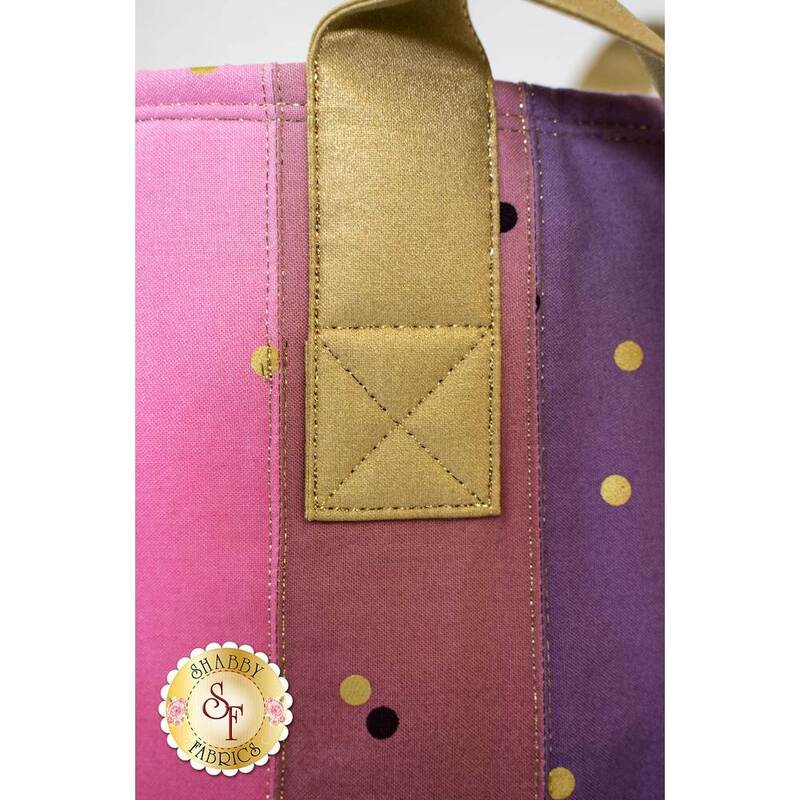 Be sure to use the coordinating gold metallic thread set to add gorgeous sparkle to your stitches, highlighting your finished tote! 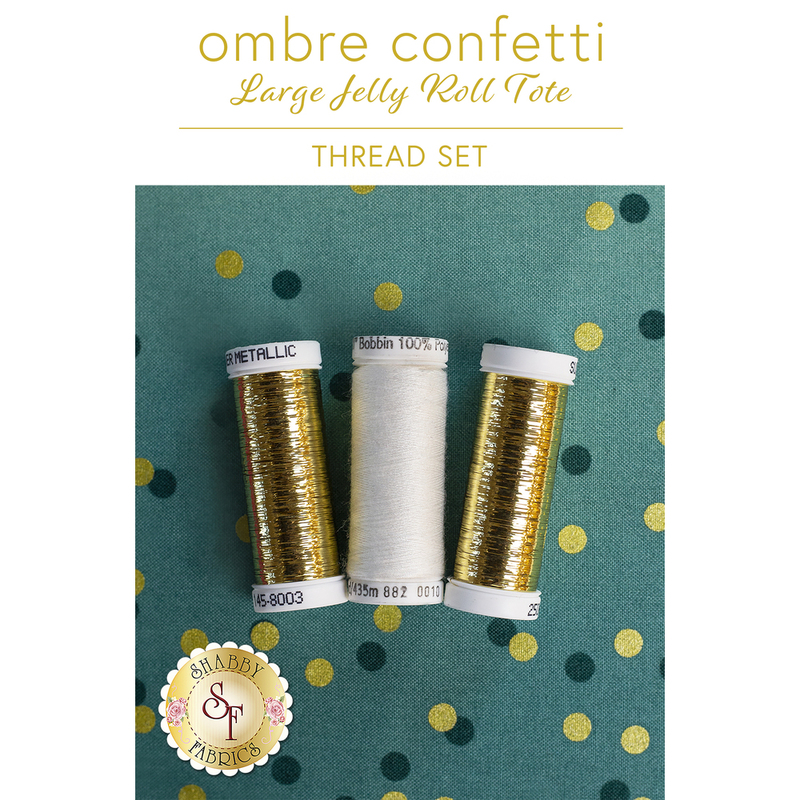 With the Ombre Confetti Jelly Roll, included with the kit, you’ll have enough fabric to make a 2nd tote (just add gold fabric for the handles, and fusible fleece for the 2nd tote). 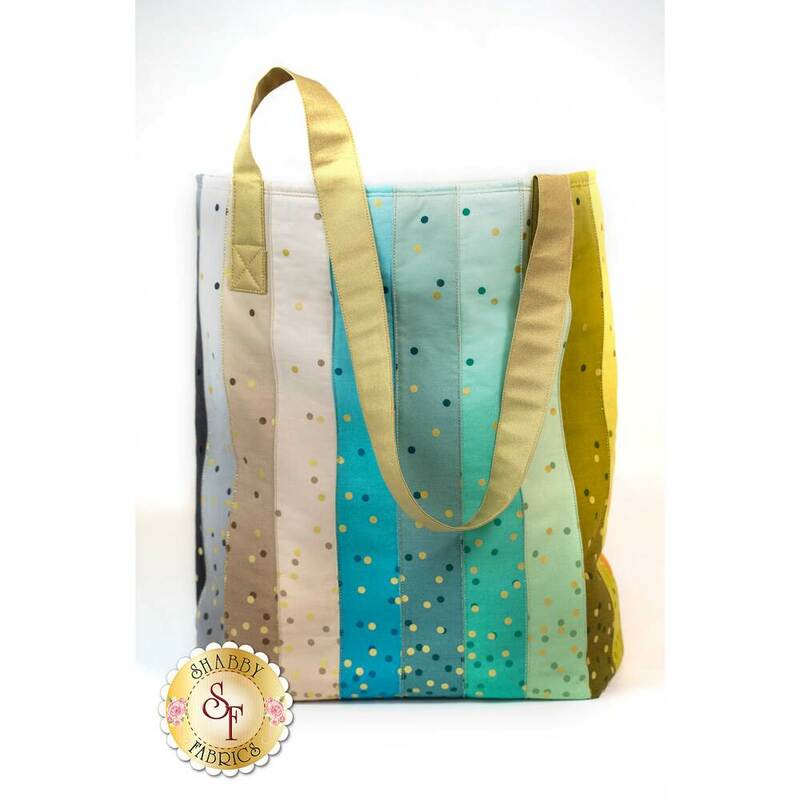 Get the FREE pattern download here.